I’ve lost count of the number of times I’ve posted some quality cosplay here and some commenter has wailed “oh that’s PHOTOSHOP” when, in reality, most of the visual sorcery is actually taking place thanks to some amazing make-up work. This shot above is a good example of how that work is done. 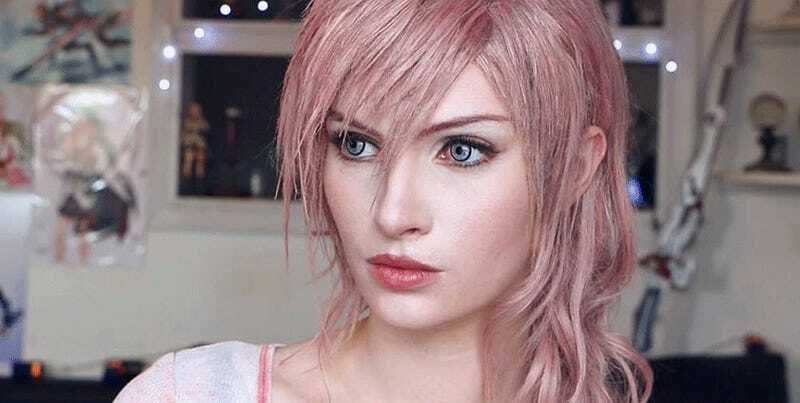 Alyson Tabbitha, whose incredible cosplay we’ve featured before, is transformed here, with make-up, contacts and a wig turning her from Alyson Tabbitha into Final Fantasy XIII’s Lightning. And here are a few more examples (also by Alyson) of how quality make-up can turn some already-good cosplay into something great. Like...these look more plausible as “movie characters cosplay as real lady” than the other way around.